Tiered Italian console from the 1950`. 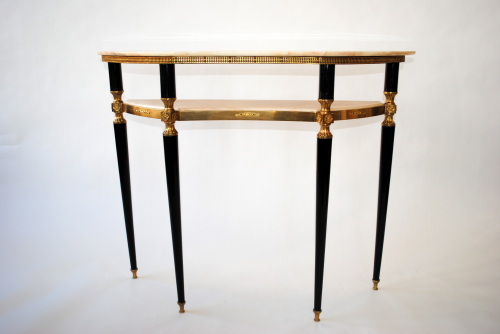 Ebonised legs supporting a brass frame incorporating 2 pieces of carved, original marble. Shape and position of the back legs mean the console can be wall mounted against a skirting board.